Of patients over age 65 who received an implantable cardioverter-defibrillator (ICD) after surviving sudden cardiac arrest or a near-fatal arrhythmia, almost 80 percent survived two years–a higher rate than reported in past trials performed to demonstrate the efficacy of the devices in this situation. That is the finding of ac a study published January 16th 2015 in the Journal of the American College of Cardiology. A release from the American College of Cardiology reports that patients who survived sudden cardiac arrest or had a near-fatal fast heart rhythm, called an arrhythmia, are sometimes treated with an ICD to prevent future cardiac arrest. An ICD is placed under the skin and connected to the heart with wires. The device detects when the heartbeat is irregular and can return the heart rhythm to normal with an electrical shock — also known as defibrillation. Masoudi said the findings suggest that physicians are doing a good job of selecting elderly patients for the implantable defibrillators. Past randomized clinical trials of ICDs were relatively small, were conducted several decades ago and did not include many older patients. ICD technology and treatment for underlying heart disease have since improved, Masoudi said. In an analysis of these clinical trials, the risk of death for patients at least 75 years of age was approximately 35 percent among those receiving an ICD, compared with 22 percent in the current study, in which 75 percent of the population was at least 75 years old. “It’s important to study older patients, because they often have other co-existing medical conditions, which may have an impact on their outcomes,” Masoudi said. 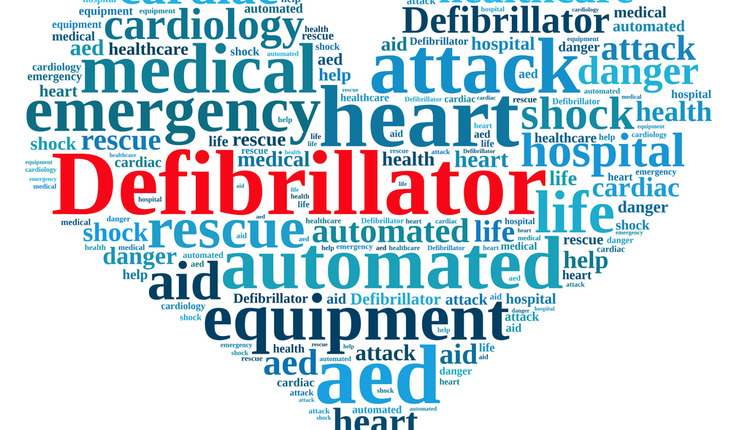 Using data from NCDR’s ICD Registry, the study included 12,420 Medicare beneficiaries undergoing an ICD implantation after surviving sudden cardiac arrest or a near-fatal ventricular arrhythmia, between 2006 and 2009 in almost 1,000 U.S. hospitals. The researchers found 65.4 percent of patients were hospitalized during the two years after receiving an ICD, ranging from 60.5 percent in those less than age 70 to 71.5 percent in those 80 and older. In addition, 13.1 percent among those less than 70 years old and 21.9 percent of those 80 and older were admitted to a skilled nursing facility. The risk of admission to a skilled nursing facility was greatest in the first 30 days after the procedure. The risks of hospitalization and admission to skilled nursing facility were all greater with increasing patient age. The researchers noted that the high hospitalization and skilled nursing facility admission rates, particularly among the oldest patients, indicate there are substantial care needs after an ICD is implanted. “This gives us a good picture of the health care needs of this population after their procedure,” Masoudi said. Limitations include that the study was not designed to evaluate the effectiveness of ICDs and did not compare the patients receiving the devices with a control group who did not receive them. He said that until more research is done about the devices in elderly patients, doctors should consider non-heart-related co-occurring medical conditions and frailty along with age in their decision-making process about ICDs. They should provide the patient with a clear understanding of the rationale and limitations of the ICD, encourage advance directives and bring up the possibility of deactivating the ICD if the patient is nearing end of life.